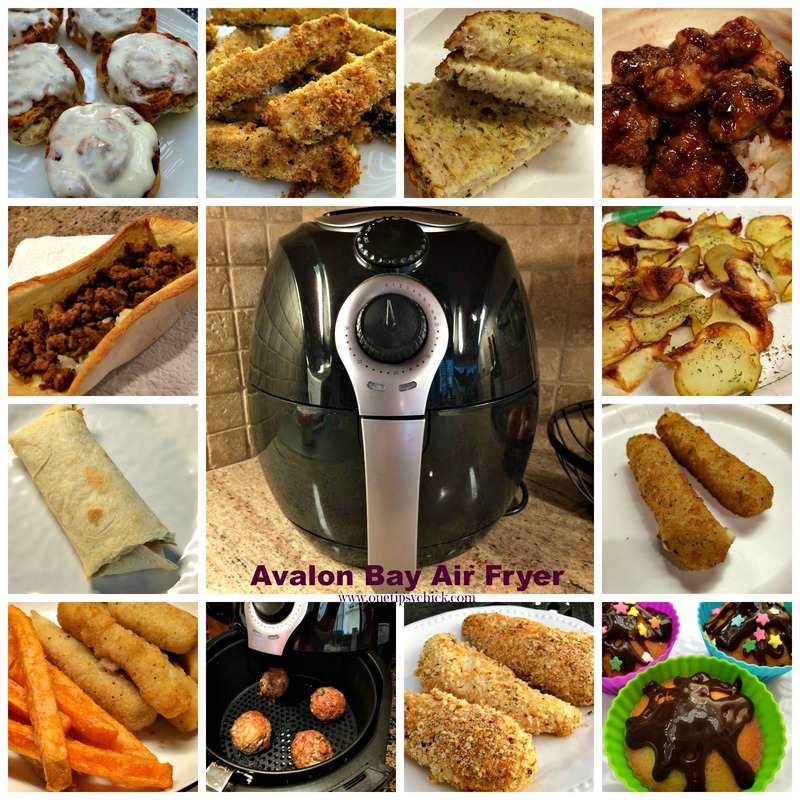 I couldn’t have been more excited to have an opportunity for this Avalon Bay Air Fryer review. I had no idea you could fry, grill, roast and bake in one, and the best part is that you can do this without adding oil to your food! Less fat, less calories. * I received an Avalon Bay Air Fryer for the purpose of this review. All opinions are my own, based on my personal experience in using it over a period of one month. The very first thing I made with my Avalon Bay Air Fryer was guilt free potato chips! They were easy to make and tasty too. The chips were crisp, delicious and made without any oil! In less than 20 minutes, I made a batch and my family devoured them all! After that, I tried grilled cheese and mozzarella sticks. So fast, so easy. My 12yr old is currently learning to use the Air Fryer too. Its been very handy for after school snacks. Besides the mozzarella sticks, we’ve used it for soft pretzels, frozen burritos, fries, tater tots, calamari strips, and tacos bowls(flour tortilla). Sometimes you don’t want to or can’t turn on the oven and wait for it to preheat just so you can make 2 servings of fries. The Air Fryer heats fast and cooks in less time than your oven! I’ve also found that we are using the microwave less and the Air Fryer more. One of my favorite uses was to reheat leftover Chinese take out. Previously our leftovers were either soggy from the microwave or it made a sticky mess in a skillet. I put the chicken (top right corner of photo) on some foil and reheated for about 6-7 minutes. The chicken remained crisp and it tasted delicious! The Avalon Bay Air Fryer is also great for making small batches of meatballs, fried zucchini and chicken tenders. When I found out that you can bake in it, I was very intrigued! I thought, “Wow! Its like having an Easy Bake Oven for Grownups!” We made cinnamon rolls and cupcakes! Can you believe it?! My oldest had been working on small batch cupcake recipes. The Air Fryer is perfect when you only want to make 2 cupcakes! I have a list of other foods and recipes that I plan to try in my Air Fryer and I won’t stop until I try them all! So far, I’ve been successful in everything I’ve tried except for two things. The first was Roasted Brussel Sprouts. The failure was due to my own error. I just set the timer and then got sidetracked. I experimented with my own time and temperature setting and missed the mark. Turns out I left them in too long and the Brussel Sprouts were a little “too roasted”. Next time I will adjust the temperature and watch them more carefully until I have perfected them. The second error I made was with my first batch of cupcakes. I must have had too little batter in my liners and baked them too long because they were also overcooked. Again, this was my own error. The second batch was much better! Its very versatile. I can fry, grill and bake in just one appliance. Perfect for cooking in smaller batches without waiting for your oven to preheat at a higher temp. Simple to use and has cooking guides right on the top. Clean up is so easy and the basket is dishwasher safe. Eliminate extra pan clean up too! You can enjoy fried foods without added oil, fat and calories. It is an affordable investment. Perfect for RVs! Limited space? No problem! This one appliance will take the place of at least 2! Perfect if you are cooking for just 1 or 2! No need to waste energy by heating up a big oven for a small amount of food. Cook in your Air Fryer instead! Let me begin by saying I didn’t dislike anything about my Air Fryer, there were just a couple of things that I would like to have. Two tiers. A second tier would be awesome to perhaps cook your meat on one tier and potatoes on the second. A family-sized option. There are many who have larger families and it would be great if there was a larger Air Fryer available to them, when cooking for 5+ people. 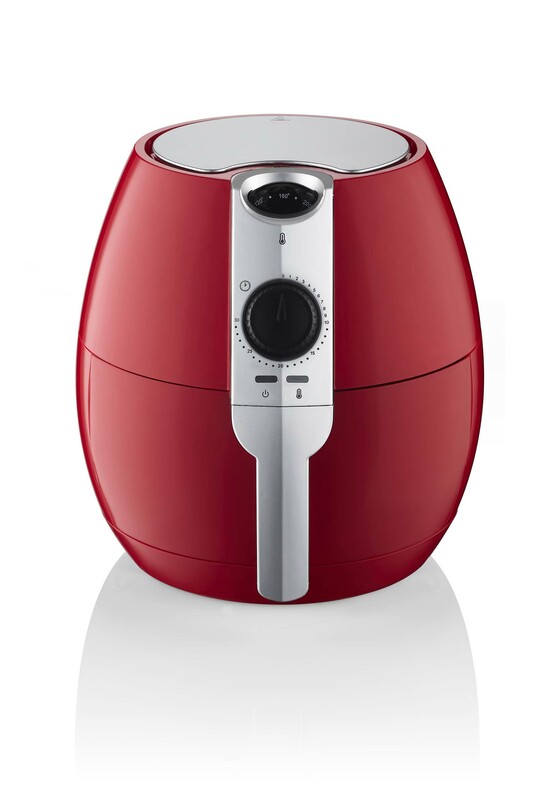 The Avalon Bay Air Fryer comes in Black (Item #AB-Airfryer100B), White (Item #AB-Airfryer100W) and I am told that it in May 2015, Red will be available too! 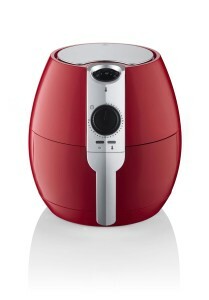 I hope you will consider getting an Avalon Bay Air Fryer for yourself and/or giving one as a gift to a loved one too! * The purpose of this post is to share my experience in using the Air Fryer. I am currently working on recipes that I will be sharing with you in the near future. Please check back! I have never even heard of one of these! How cool! Going on the want/need/must have list! Love it! Malia, Its the best small appliance I have owned in a very long time! So worth it! This would be perfect for our vacation home! I’ve always been super curious about these! Thanks for sharing! This sounds like something I need. I love fried food, but it doesn’t love me. I’d love to try one of these! Thanks so much for linking up to Tips and Tricks. I hope to see you again this week on Monday night at 7. I saw an ad for this recently, and thought I’d try it, but now I am definitely going to get it! And I can’t wait for your recipes to use with it!